Project commenced as predecessor firm mcfarlane green biggar Architecture + Design Inc. 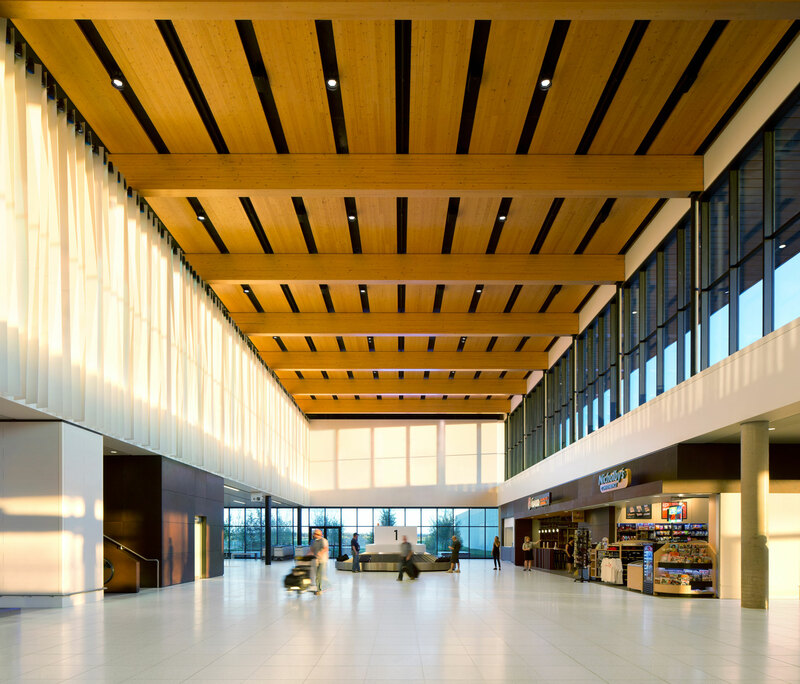 Constructed in response to the burgeoning economy in 2011, the Fort McMurray International Airport replaced a tiny terminal with a three-storey, 15,000-square-metre facility. 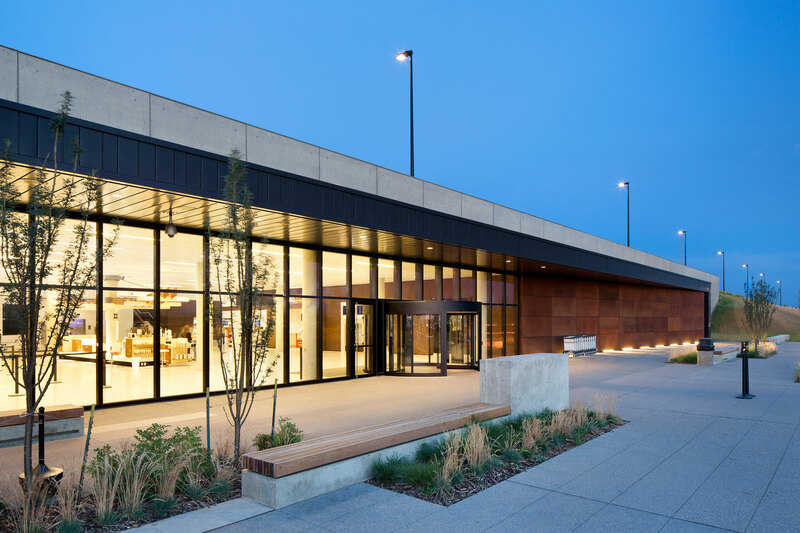 The hybrid mass-timber, steel, and concrete building makes an architectural statement in a region of spectacular beauty, extreme climate, pioneering culture and mundane architecture. 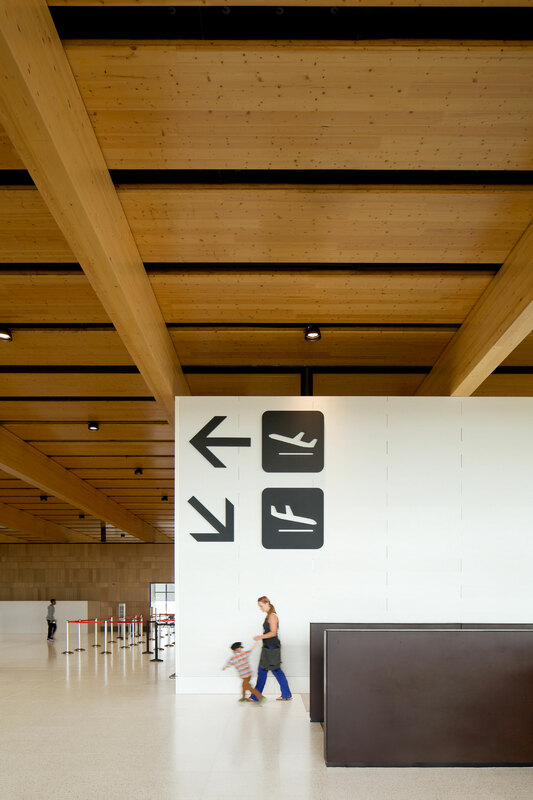 Designed as a portal to and from the region, particularly for the large, transient oil sands labour force, the airport offers a calm and luminous presence with generous amenities and easy navigation. The linear building, organized procession, and evocative materials usher users between the ground and air in a heartfelt expression of place. 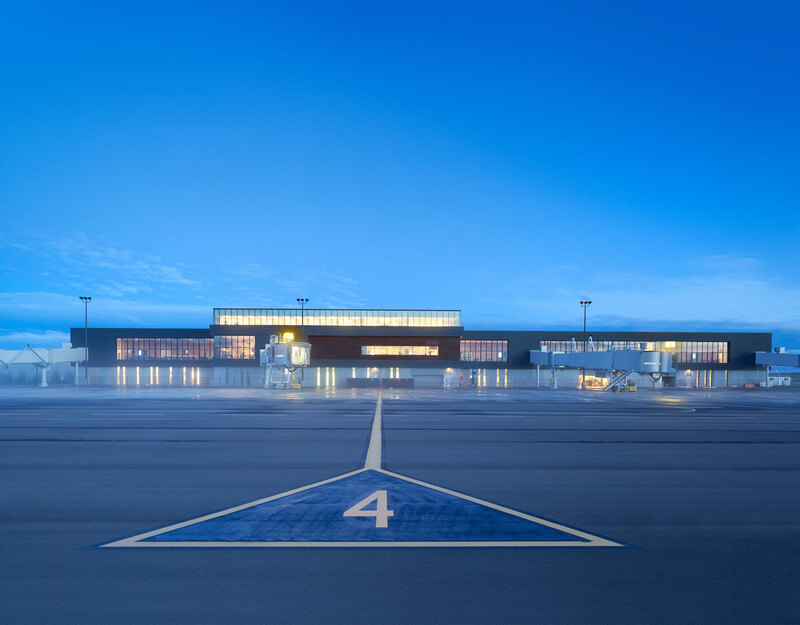 "Constructed in response to the burgeoning economy in 2011, the Fort McMurray International Airport replaced a tiny terminal with a three-storey, 15,000-square-metre facility. The hybrid mass-timber, steel, and concrete building makes an architectural statement in a region of spectacular beauty, extreme climate, pioneering culture and mundane architecture. 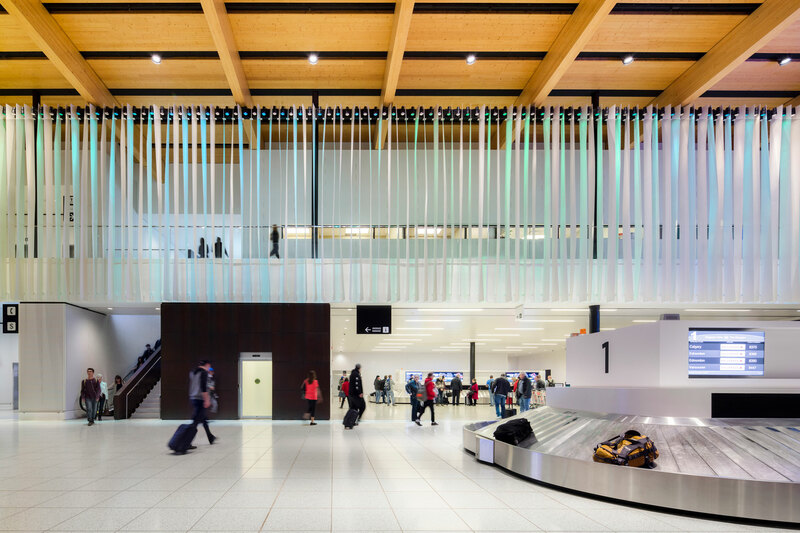 Designed as a portal to and from the region, particularly for the large, transient oil sands labour force, the airport offers a calm and luminous presence with generous amenities and easy navigation. The linear building, organized procession, and evocative materials usher users between the ground and air in a heartfelt expression of place."